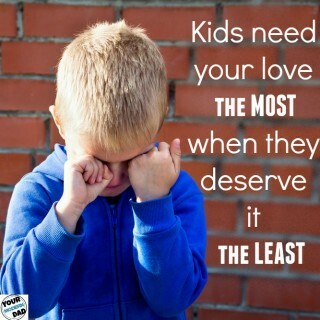 Our kids love making pizza. 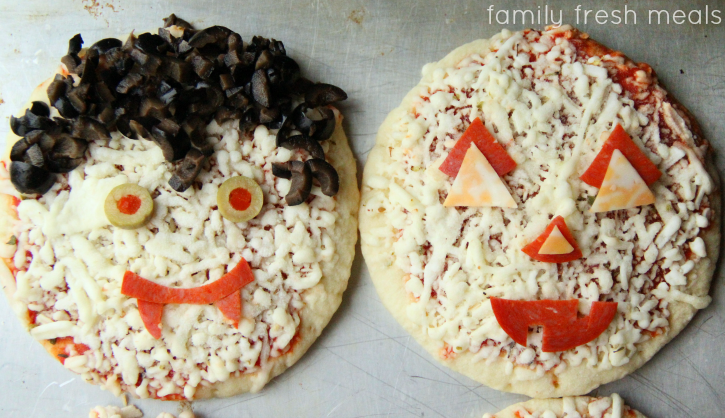 We buy the dough from a little pizza place in town for $3.00 a pizza and we let them each decorate a pizza (we cut the dough in half, so they each have a small pizza). 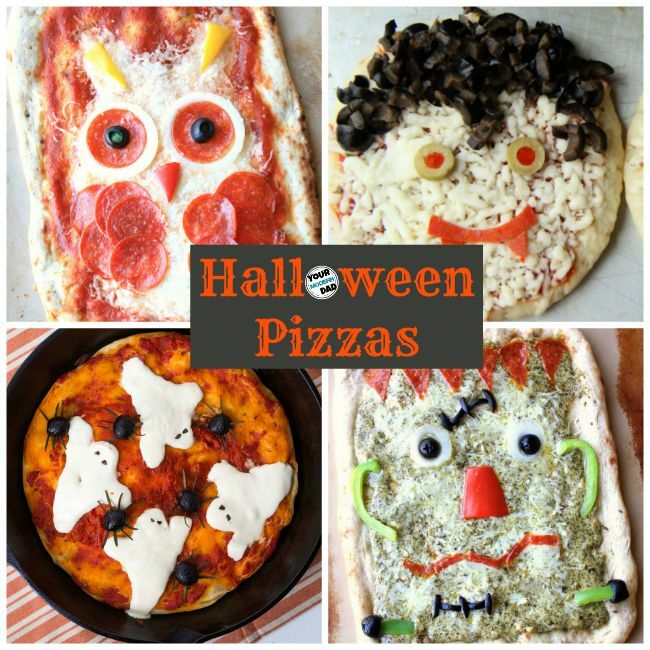 Here are some ideas that Becky and I will show them when we do it this Friday.. . these Halloween pizzas are going to be a huge hit! 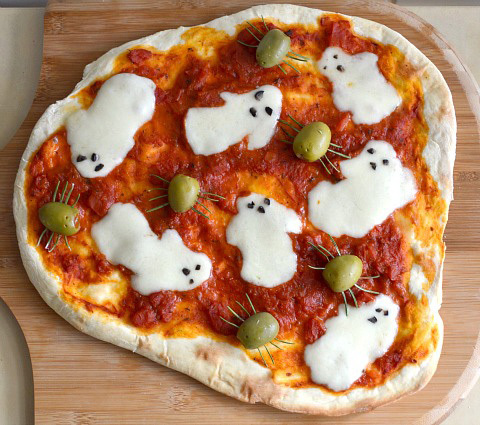 My favorite is this one form ChefMom, because used cheese as ghosts, with little olives for the eyes and mouth. 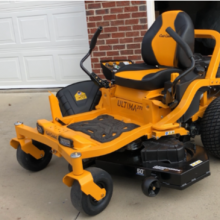 Here is another version by Serious Seats. 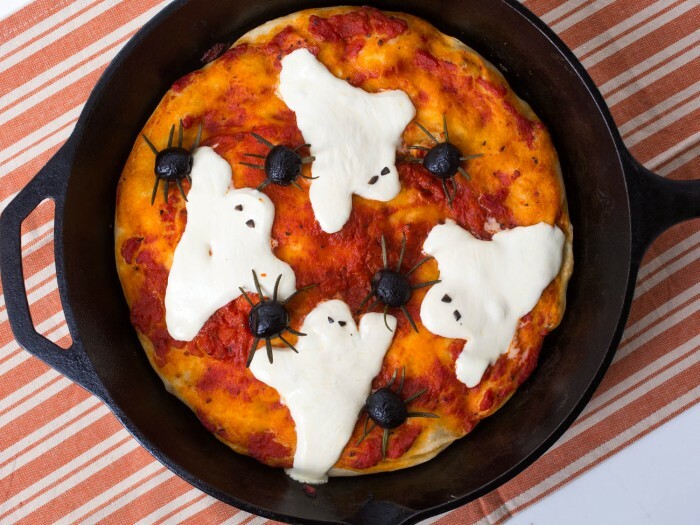 You can’t really go wrong with a jack-o-lantern pizza, but the Vampire one, from Family Fresh Meals, is hilarious and adorable! 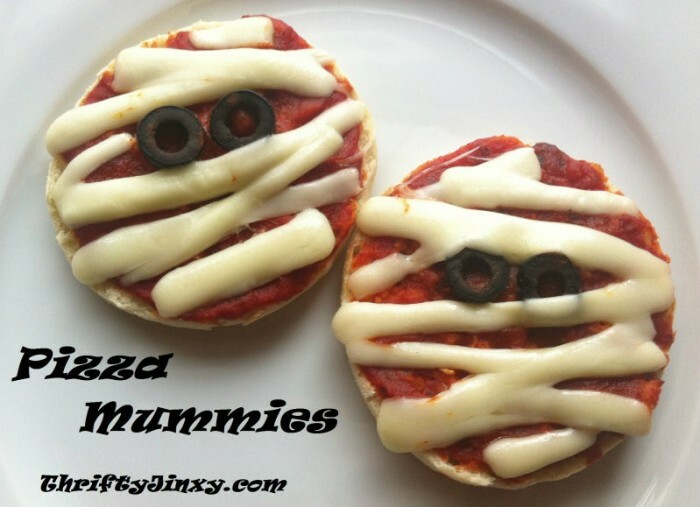 These mini mummy pizzas from Thrifty Jinxy is great, too. 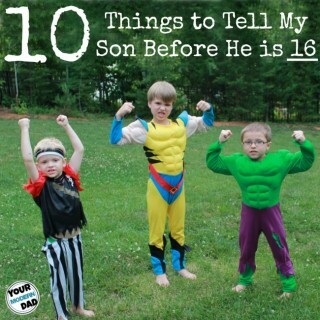 Each kid can make their own mini pizzas. 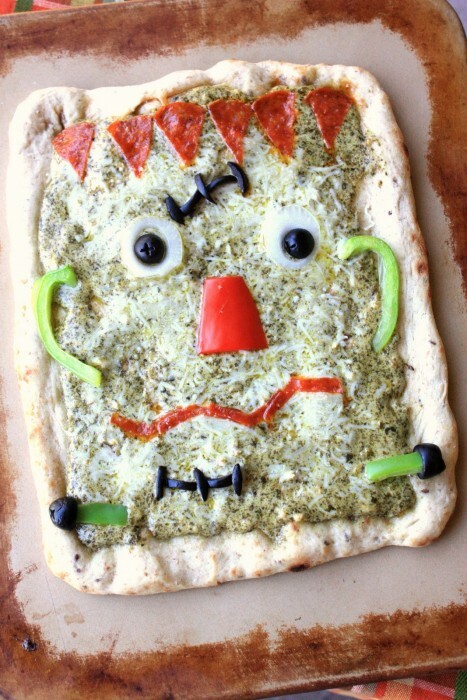 This pizza from Munchkin Munchies, made with pesto sauce and Alfredo sauce, looks awesome, with the onion eyes and olive scar. 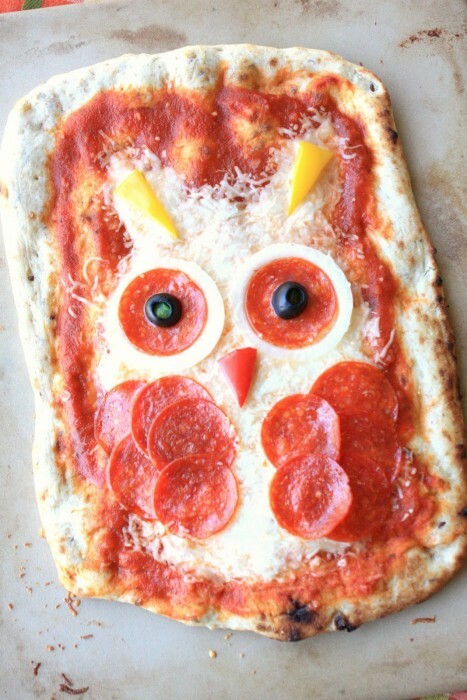 Their owl pizza is pretty creative, too. 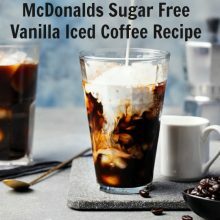 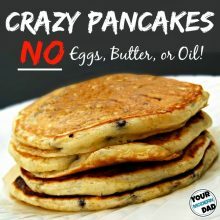 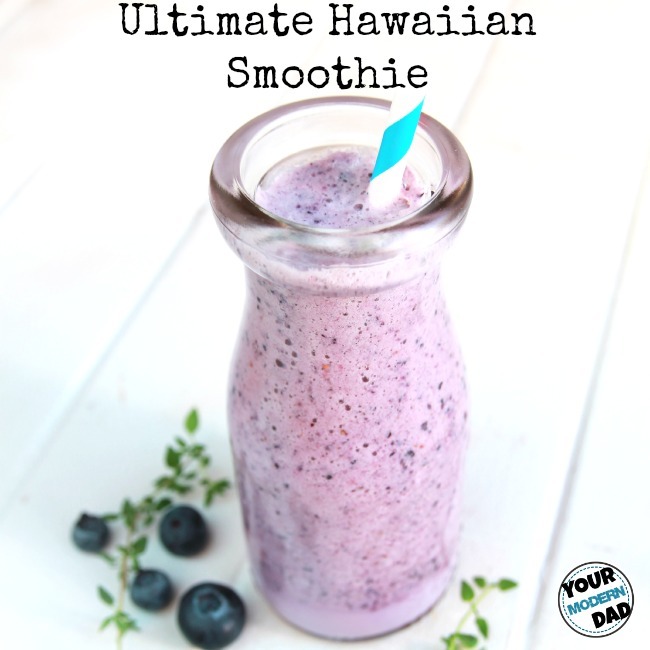 Ps– serve it with a smoothie. 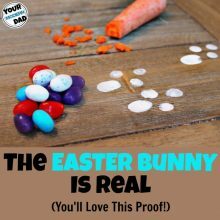 It brings in all of the fruit that you are missing by eating pizza for dinner.